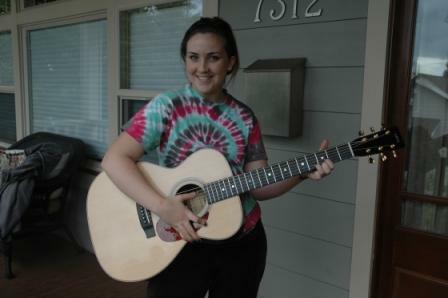 I visited my daughter Rachel in NYC last week and helped her pack up all her dorm stuff for returning home this week. 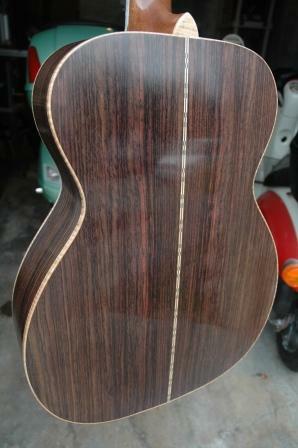 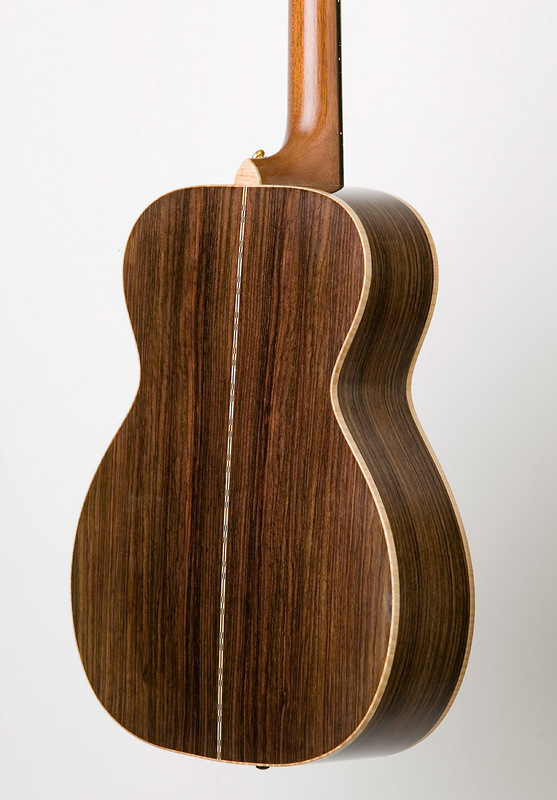 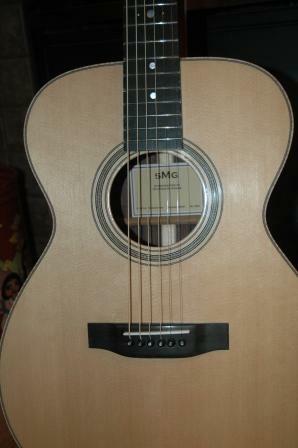 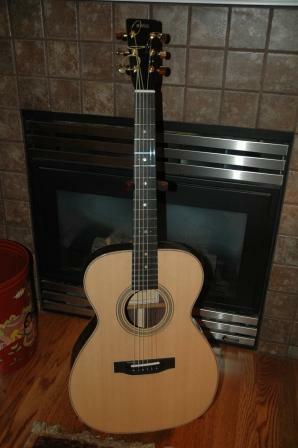 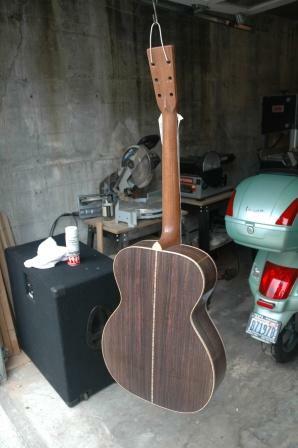 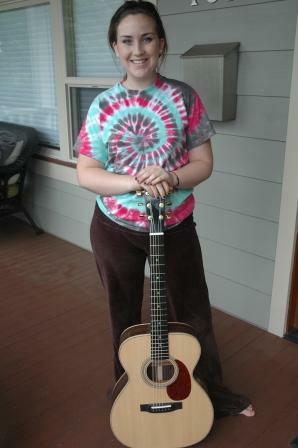 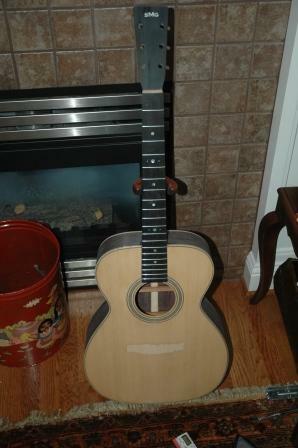 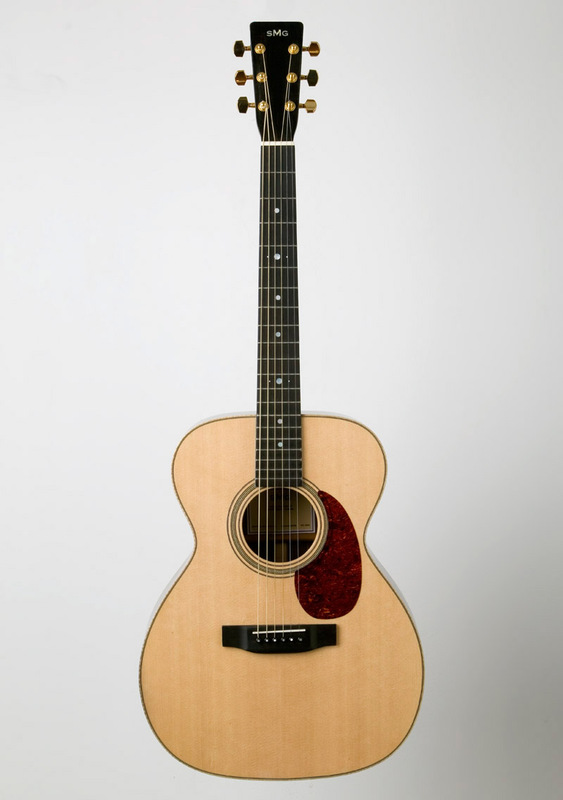 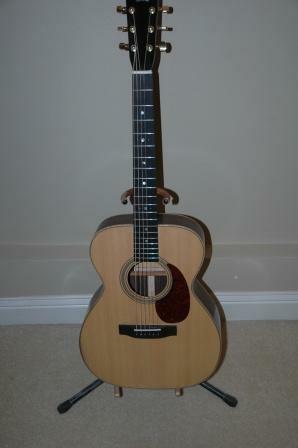 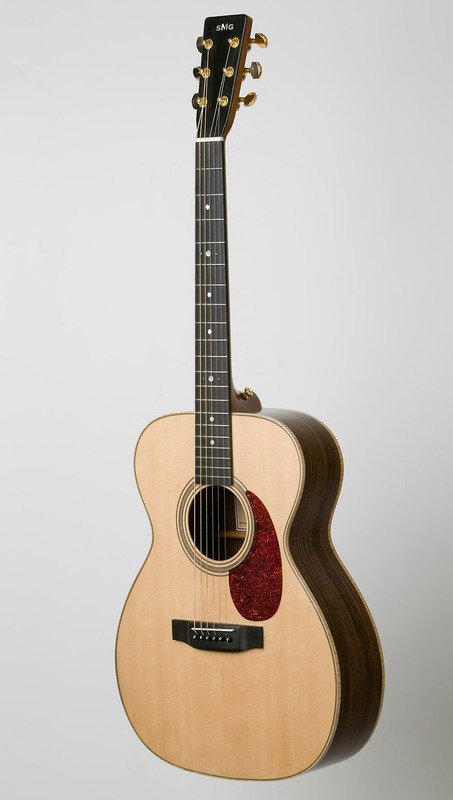 We packed boxes for shipping, extra luggage for my flight home, and her guitar, my second one built, the Rosewood OM. 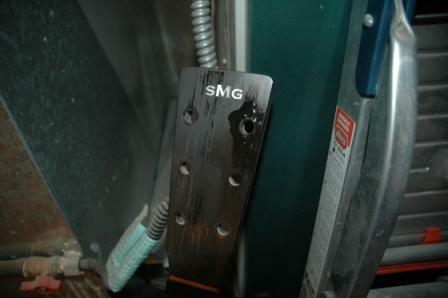 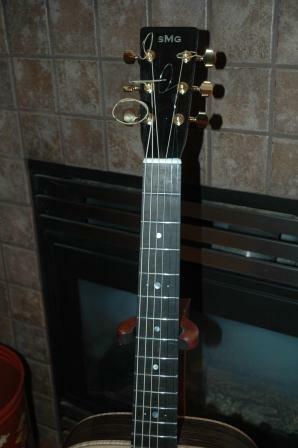 To my chagrin, the bridge had come loose, and thankfully, my guitars have a lifetime guarantee (my life that is). 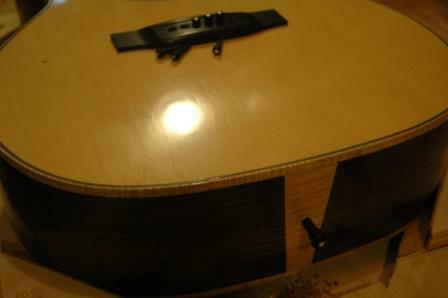 I brought it back home, removed the bridge, added 1mm of ebony to the bottom side to bring it higher, and reglued. 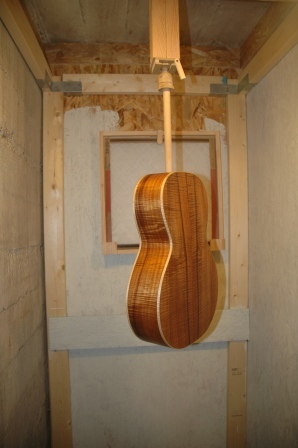 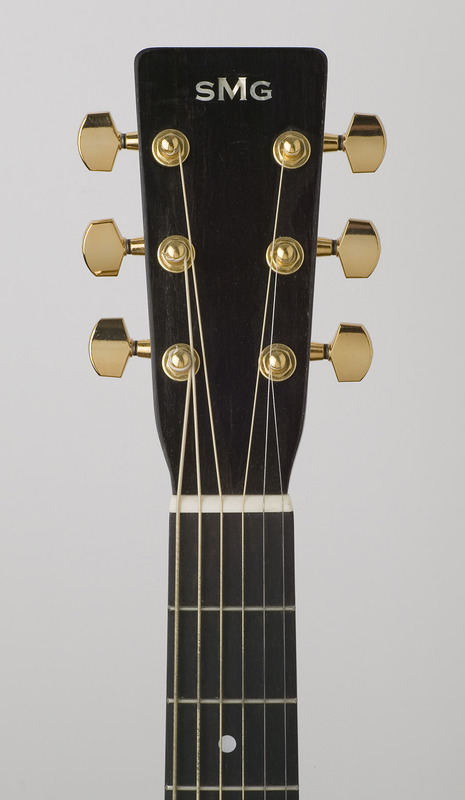 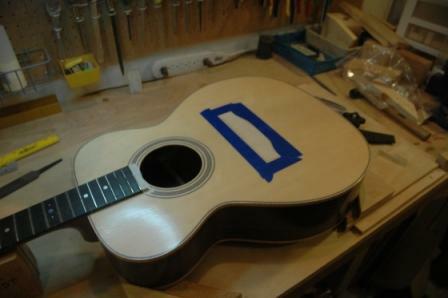 The neck angle on this guitar was a wee bit steep and I had to compensate with a tall saddle. 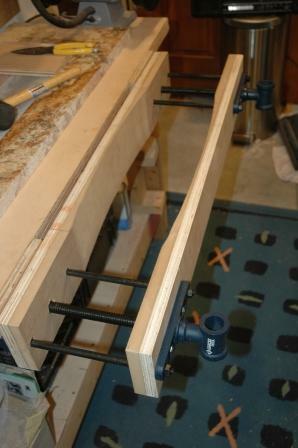 I think a combination of tall saddle (greater sheer force on bridge) and insufficient glue created the pull up on the bridge. 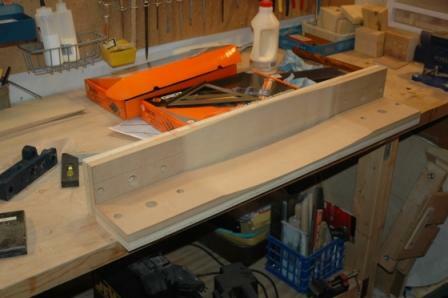 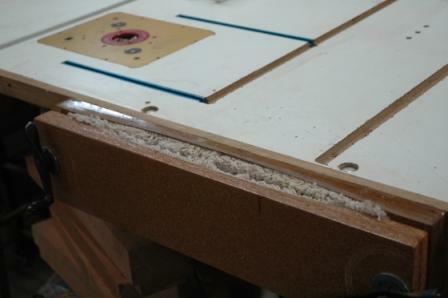 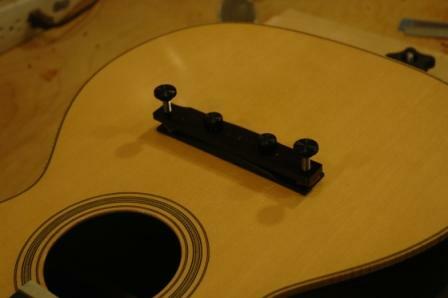 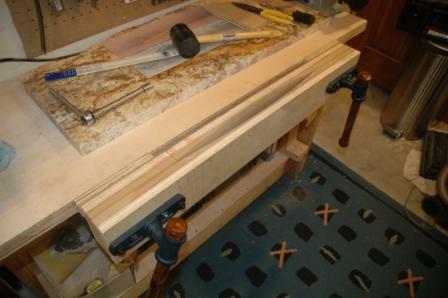 By adding 1mm of ebony to the bottom of the bridge I was able to reduce the saddle height to lessen the sheer force. 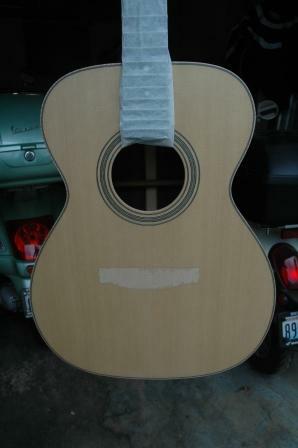 It’s settling, but once I restring I’ll see if the thicker bridge has any adverse effect on tone.